And to George Studios. Pefkos	(meaning pine tree, you can see why it had given this name) is completely surrounded by pine clad hills, vineyards, olive and fig trees, which make a wonderful scent to fill the air. 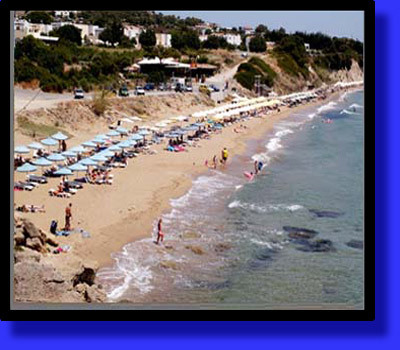 During the day, you can walk down, enjoy the sandy beaches, and lay out in the sun, there are many pools with snack bars where you can relax, have a snack and enjoy a drink. At night when all the streets light up, you can take a stroll, have a meal at a wide range of restaurants which offer the great tastes of Greece, after visit the cafes and bars to enjoy coffee or a nice drink. You can also visit Lindos which is a 5 minute drive from Pefkos, you can go to Lindos by taxi or bus. 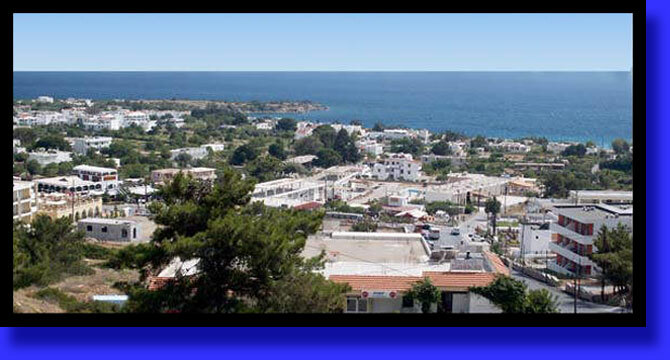 This accommodation is situated in the heart of Pefkos, just a 1 minute walk from the main beach and 1 min. from the center of the village. 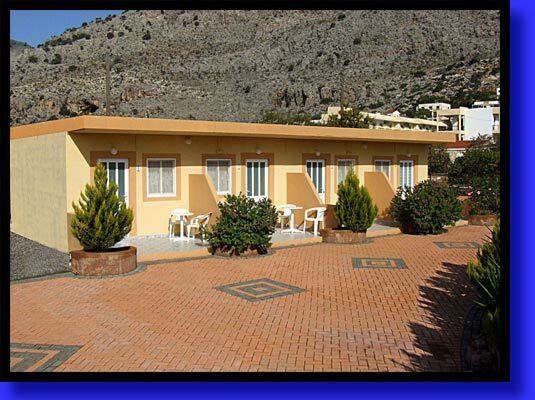 There are only 4 peacefull studios surrounded by lots of plants, vine, olive and fig trees.